We all like to have smooth, soft skin. These scrubs will buff away the dead skin, leaving you glowing. 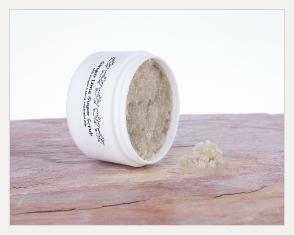 Use it weekly on legs in the summer, dry heels, elbows and all year-round for healthy skin. If the ingredients separate, just stir them back together. Fingers work well..
Sugar scrubs are best used in the shower. However, they may leave the shower or tub slippery, so use caution. Used occasionally and gently, these can be used on your face as well. To use … wet your skin. Then scoop out a small amount of scrub and (well), scrub until the sugar dissolves. Rinse well. Enjoy the softness!